It’s only the beginning of December, but my family and I have managed to get all of the Christmas decorations up around the house. We put the tree up last weekend and put out a few decorations inside the house. And, this weekend we put decorations and lights outside the house. A few wreaths, a couple reindeer and a few strings of lights don’t take that long to put out and really help to get us in the Christmas spirit. I also started on some holiday baking. I love trying new things, and have had pavlova on my list for quite a while now. 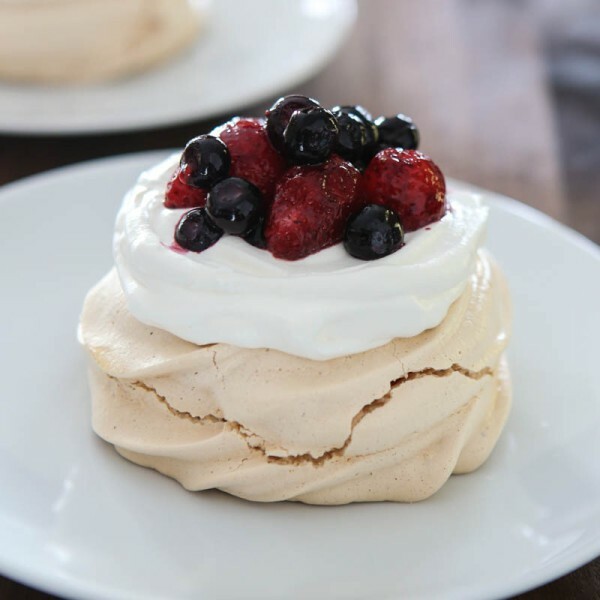 Pavlova are super simple, yet oh so elegant desserts that are actually named after the Russian ballerina Anna Pavlova. It’s a meringue cake that’s crisp on the outside and creamy and dreamy inside. They’re incredibly easy to make and look super impressive! 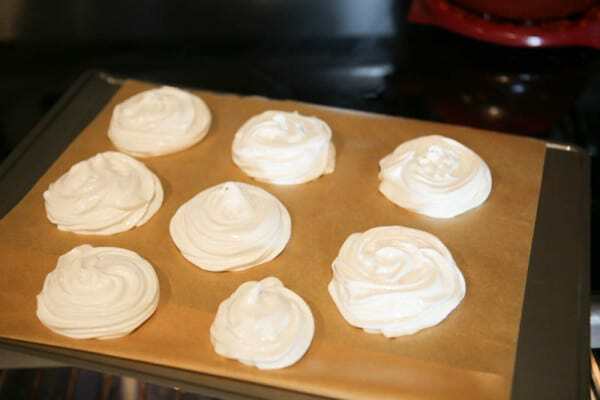 To make these pavlova, I start with AllWhites Egg Whites. You can find these in the dairy aisle of your grocery store. They’re very convenient when used in this recipe, as well as make for a quick and healthy breakfast—for another meal occasion. 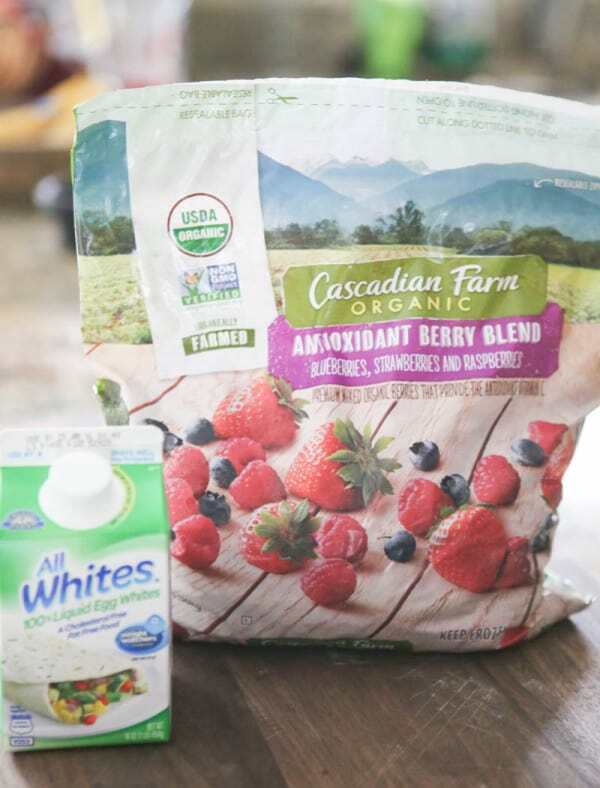 For the fruit, I use Cascadian Farms Organic Mixed Berries. I love keeping lots of frozen berries on-hand in my freezer and these are the best quality. They’re great for using with desserts and for quick smoothies in the morning. To top these pavlova, I also use Cool Whip. I always have a tub on hand in my freezer because it’s so versatile and I can grab just as much as I need. To start this recipe, I beat the egg whites until they’re stiff. Then, you slowly add in the sugar, and continue beating the egg whites, until all the sugar is thoroughly combined. Next, add a little corn starch, lemon juice and vanilla extract. After that combines, I like to add the mixture to a pastry bag and pipe on a lined cookie sheet (parchment paper). 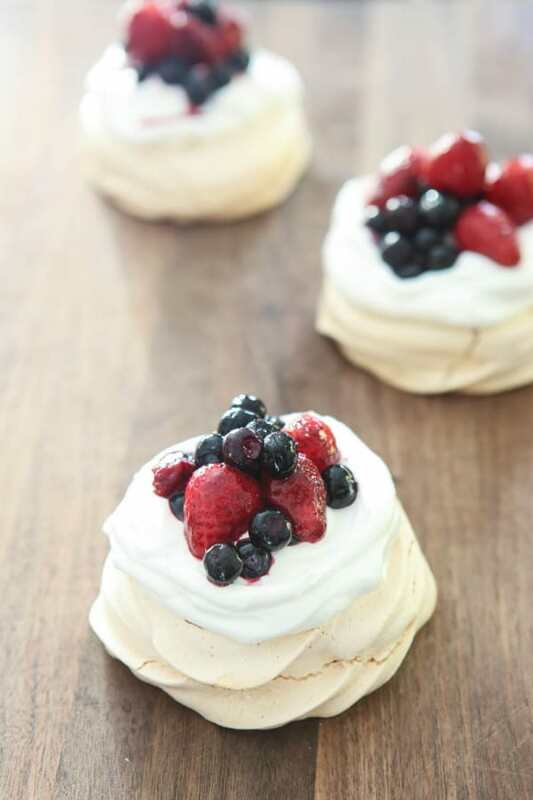 These pavlova take about an hour to bake. You place them in a preheated oven at 300° for 30 minutes, and turn the heat off, but leave them in the closed oven for an additional 30 minutes. Then, remove them from the oven and let cool on a baking rack. After they’ve cooled, you can place them on a plate and top with Cool Whip. Then, add some of those scrumptious frozen berries. Pavlova are best eaten the same day. 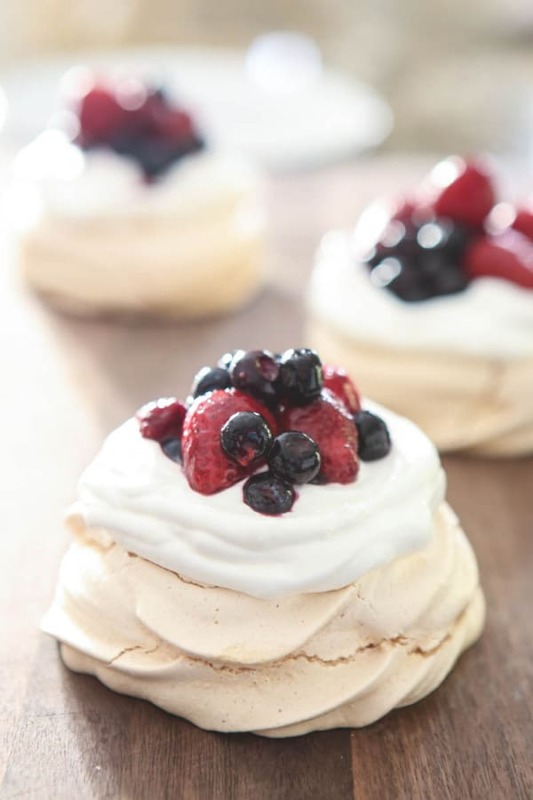 Don’t refrigerate the pavlova because they’ll lose their crispness. You can store the leftover in an airtight container for 2-3 days, and top with whipped cream and berries just before serving. 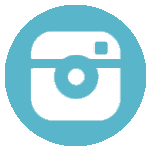 There are so many creative and fun recipes you can make with simple ingredients found in the dairy aisle and freezer section of your grocery store like I’ve used here. 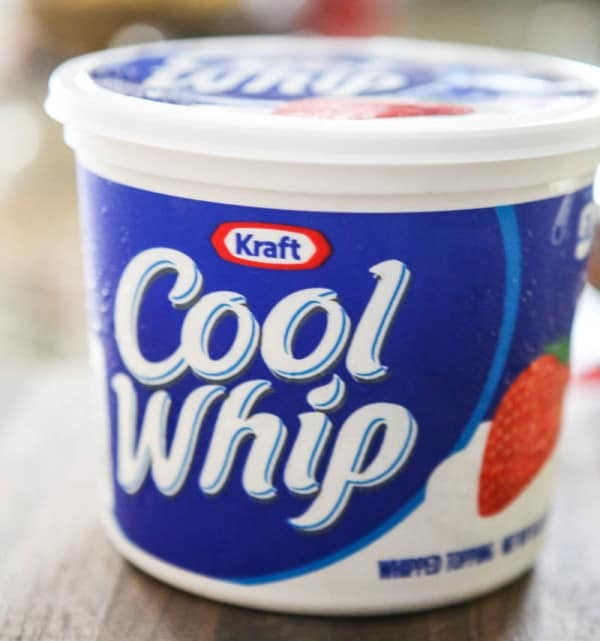 And, with the holidays quickly approaching, it’s nice to pick up ingredients that can save time in the kitchen like Cool Whip, frozen berries and AllWhites Egg Whites. 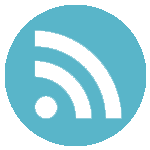 Be sure to check these out and other great ingredients on your next shopping trip. Heat oven to 300°. Line baking sheet with parchment paper. In a large bowl add egg whites and beat with an electric hand mix until egg whites are stiff. 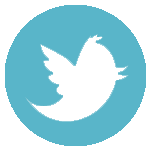 Gradually add in sugar, a tablespoon at a time, beating sugar into eggs after each tablespoon of sugar addition. Continue to beat egg mixture until very thick and glossy. Add vanilla, lemon juice and cornstarch. Beat until well combines. Add mixture to a pastry bag and pipe into 8 circle size discs on parchment paper. Bake for 30 minutes and then turn heat off but leave pavlova in oven for an additional 30 minutes with with oven door closed. Top pavlova with Cool Whip and mixed berries. I’m always looking for new things to bake for the holidays also so I’m adding this to my list! They look perfect! I really need to start my holiday baking. this looks delish! How absolutely great! 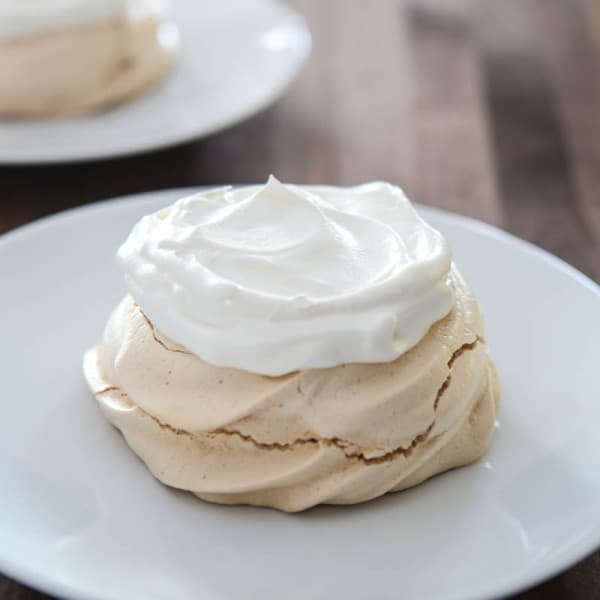 Mini Pavlovas are such a fantastic idea! 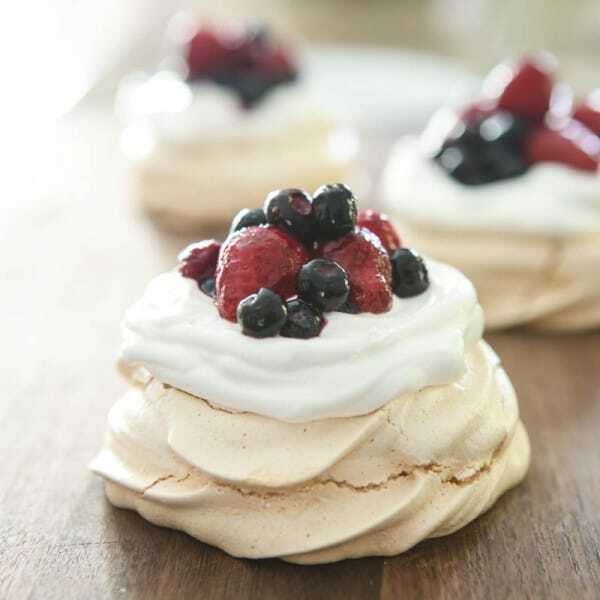 Love Love Love Pavlovas. These would be perfect to serve during the holidays. I have yet to attempt a pavlova but you did a beautiful job! 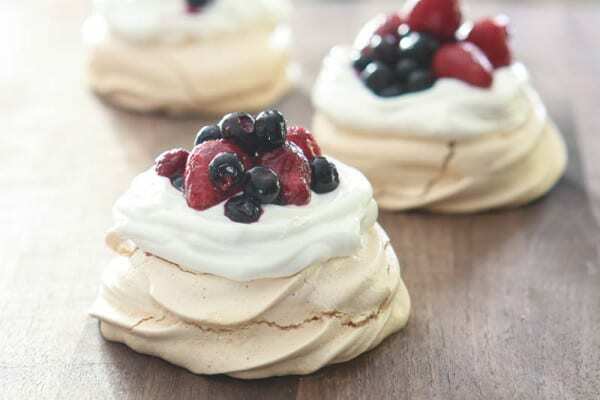 I have never had pavlovas ut this makes me want it now! 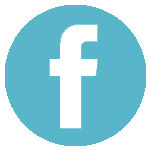 I’ve never made a pavlova – great tutorial! 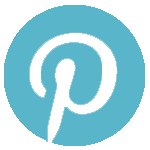 Definitely trying this recipe soon – you’ve made it look so easy! There is nothing like the crispy crunch and sweetness of the outside of a pavlova. I just love them, and I just love your mini’s. Too cute! I love (LOVE!) 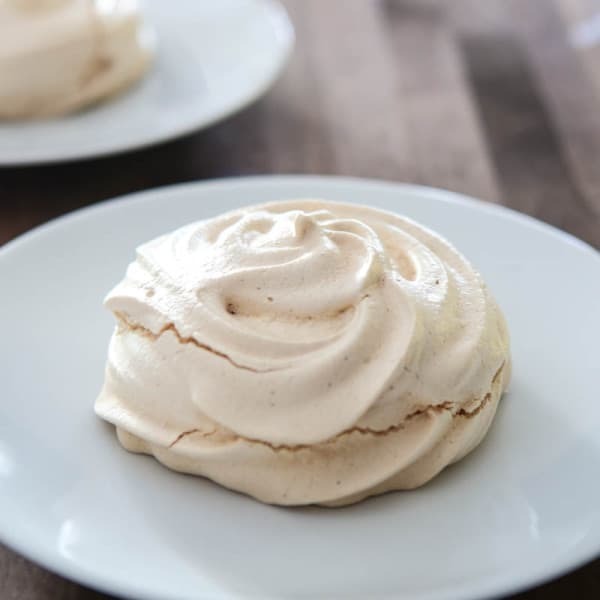 meringues…they make me feel like I’m being virtuous while I’m eating dessert. 😉 These look delicious! I’m blown away that it only takes a handful of ingredients to make these beauties! You’re right, they DO look super impressive! I love pavlova so this is just making me want to run into the kitchen right this minute to make some. This is seriously dreamy. Such pretty photos. Gorgeous! I’ve never had one….and its everything I like. I have to fix that stat! That will be great for sons birthday!